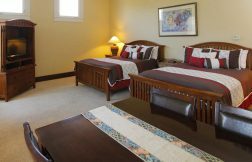 The Santa Paula Inn is a boutique hotel in California that offers comfort for business, leisure, weddings, film crews and pilots that are here for specialized training, and parents visiting St. Thomas Aquinas College. 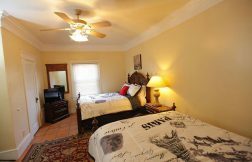 A stone’s throw from beautiful Ventura and Oxnard, this charming 14 room boutique hotel in California. 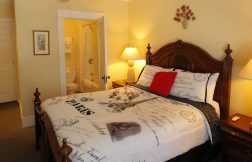 It is a perfect romantic Southern California getaway. 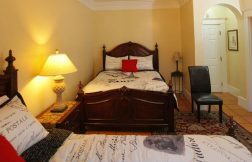 Situated in one of Ventura County’s historic agricultural region, surrounded by citrus groves, the Santa Paula Inn is a pedestrian-friendly boutique hotel experience, steps away to estaurants, antique shops, live theatre, museums and more. 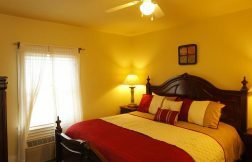 Our complimentary continental breakfast is the perfect way to start the day, before exploring Santa Paula.Santa Paula Inn is one of the best budget hotel in California.Book your room in a best hotel in Santa Paula. 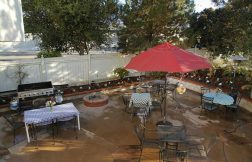 "Santa Paula Inn B&B has very friendly & kind service, the rooms are clean & spacious, some with kitchen facility & dining area, great outdoor area for BBQ, parking available in back of Hotel off the street area, centrally located to local business , restaurants & bars, close to the ocean." 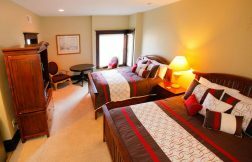 "Rooms are comfy the service was great and great little town will stay again! reserve early only 14 rooms nice breakfast in the morning good place for business or second honeymoon. 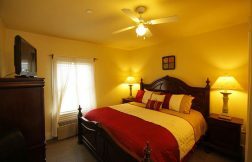 I have told everyone about the place and plan on staying again when I'm in town the next time." "Loved the old building charm and Peggy our inn keeper. You get what you see. Its old, clean, charming, nice people with no frills. The price is an unbelievable value at $85. PS.. Peggy, I'm good with England. Thanks for being so kind." Santa Paula Inn 2019. All Rights Reserved. Website Developed by Innsoft, Inc.